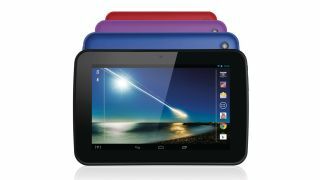 The most interesting thing about Tesco's Hudl tablet isn't the tablet, which is a perfectly decent but unspectacular Android Jelly Bean device. It's what it represents: this is Tesco trying to be the new Amazon. It's not the first time a supermarket has tried a cheap tablet. Asda did it two years ago, offering an Android 2.1 tablet for £99. But that was different: the tech wasn't as good. The market wasn't ready. And Asda was thinking like a traditional retailer when it needed to be thinking like Amazon. That's what's different about the Hudl - Tesco's not going to make a lot on its tablets and Tesco doesn't care. Until now, retailers such as Asda and Tesco have been happily selling other people's hardware - so, for example, you might find Kindles in Tesco or iPads in Asda. The problem with that is that there isn't a great deal of money in it, because these days it's all about ecosystems of apps and entertainment. Think of it in terms of razors: retailers have been selling the razors, but they've been letting somebody else sell the blades - and it's the blades that make all the money. Every Hudl is a Trojan Horse bearing Blinkbox and Clubcard TV and Tesco Bank and of course, shopping. Take Amazon, for example. It says it doesn't make any profit from its Kindle Fires, and we're sure that's true - but Amazon's goal isn't to make money from hardware. It wants to hook you, to ensure that your ebooks are Kindle ones, that your music comes from Amazon MP3, that your apps come from its App Store, that the next time you buy a book or a dustbin or bits for a BMW you'll buy it from Bezos. Amazon's betting that if it sells at a loss now, it'll make the money back over the long term. Asda didn't think of that, but Tesco did. It's unlikely to make much of a profit at £119, let alone at the ClubCard voucher-assisted price of £60. But Tesco doesn't care, because every Hudl is a Trojan Horse bearing Blinkbox and Clubcard TV and Tesco Bank and of course, shopping. It's a classic loss leader, Tesco taking a hit on the tablets and making it back from selling you other things. I can't help thinking the timing is interesting. Imminently, we'll hear about another mass-market tablet, or at least one that hopes to be. Microsoft will be unveiling the Surface 2. Wouldn't it be funny if today's most important tablet turned out to be Tesco's one?